Corporate Event DJ Adelaide. Lovegrove Entertainment Agency. We meant it when we recently launched Time Machine Dance Party that it was a ‘world first’ in DJ corporate entertainment as it was a totally new DJ show experience – one that offers a fully immersive audience experience both aurally and visually through a fun history of rock’n’roll. That’s why Michelle Burgan, from The Entertainers, had no hesitation in recommending Time Machine Dance Party to her client, Toyota. They wanted their South Australian Awards night to finish on a real high and flew the Sydney DJ show to the Adelaide Oval. Needless to say it wasn’t long before everyone was on the dance floor was up singing and dancing to the iconic music videos ranging from 1955 to current day. And typically those who were still at their tables were transfixed by the video journey that also highlights the cultural and news of each year. Time Machine Dance Party is an immersive, full dance party experience which takes party-goers on a one hour journey through the greatest and most iconic pop music hits, beginning at 1955 through to present. The music track is supported by a compelling big-screen AV presentation featuring footage of the original artist for each song, mixed with footage of significant events for each year. One classic hit from each of the last 60 years. The ultimate dance floor mash-up of non-stop classic hits, with full video production! It’s a low cost, high return entertainment solution – a perfect way to cap off a memorable event. Time Machine Dance Party takes your typical DJ experience to a whole new level! It’s the perfect dance floor magnet for parties and corporate events. Contact Lovegrove for all your Adelaide conference entertainment and event DJ requirements. 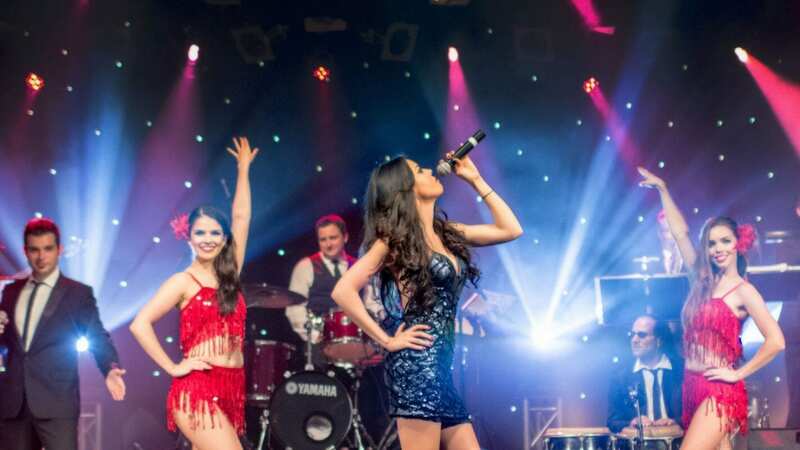 Our highly professional entertainers happily travel to all capital cities including Sydney, Melbourne, Perth, Brisbane, Canberra, Darwin, Alice Springs and regional centres. Professional emcee services by entertainment industry veteran, Darryl Lovegrove, will ensure your guests will be raving about your conference or corporate event for months to come.